Socio-Economic Rights and Accountability Project (SERAP) has sent an open letter to the Minister of Water Resources, Suleiman Adamu, urging him to use his good offices and leadership position to urgently refer the allegations of widespread and systemic corruption involving the management of the Cross River Basin Development Authority (CRBDA) to the Economic and Financial Crimes Commission (EFCC) and the Independent Corrupt Practices and Other Related Offences Commission (ICPC) for investigation. The organisation urged the minister to ensure that anyone involved is brought to justice if there is relevant and sufficient admissible evidence and also to push for the publication of the outcome of any investigation carried out by the anti-corruption agencies. 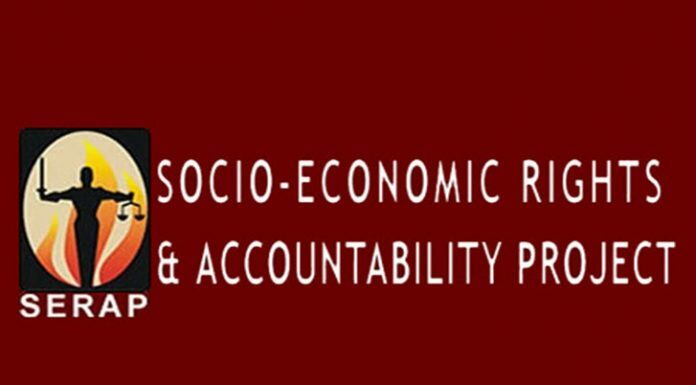 SERAP said it received reports and huge documentation from whistle-blowers on allegations of corruption at the CRBDA, including illegal conversion and misappropriation of funds meant for water projects, lack of proper disbursement and utilisation of project funds, illegal auctioning of the agencyâ€™s assets, harassment of staff members who expose these allegations, abuse of office, payment for projects not executed and by-passing the governmentâ€™s policy on the Treasury Single Account (TSA). In the letter dated November 30, 2018 and signed by SERAP senior legal adviser, Bamisope Adeyanji, the organisation said Adamuâ€™s intervention would help to improve public confidence in public agencies, minimise the risks of bad government and improve access of citizens to essential public services. It asked Adamu to suspend senior management and leadership suspected to be involved from their positions at CRBDA, pending the referral to the EFCC and ICPC, and the outcome of any investigation by EFCC and ICPC. The letter copied Acting Chairman EFCC, Ibrahim Magu, and Acting Chairman ICPC, Dr. Musa Usman Abubakar, read in part: â€œSERAP has been fully briefed by some whistle-blowers that funds meant for projects and operations, salaries and allowances have been allegedly diverted and removed from CRBDAâ€™s budget lines. SERAP called for the setting up a mechanism to monitor spending by the CRBDA and other similar agencies of the ministry across the country on specific projects in order to ensure that funds allocated for projects are spent exactly for the purpose and to prevent and combat corruption in the operation of the agency and other public institutions under the ministry, adding that if such allegations is allowed to continue, it would undermine the ability of the CRBDA to effectively discharge its mandates to provide essential public services to the citizens and residents of the areas. summary of all this eh!!!!! !